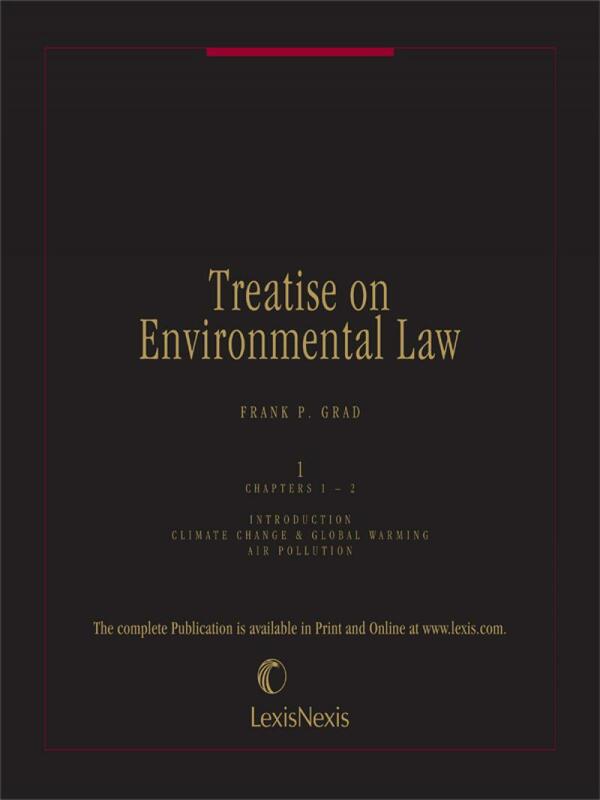 This treatise examines issues, and analyzes the statutes and important caselaw in every environmental problem area. The late Frank P. Grad was a Matthew Bender author from 1971 until well after his retirement. He was the J.P. Chamberlain Professor Emeritus of Legislation and the former Director of the Legislative Drafting Research Fund at Columbia University School of Law. He was a full-time faculty member at Columbia Law School since 1969, where he taught environmental law, legislation, legislative drafting, state constitutional law, public health law, and torts. The first book Professor Grad authored for Matthew Bender was the course book, Environmental Law: Sources and Problems, which appeared in 1971 and was the first environmental law course book used widely in many American law schools. Along with writing and updating Matthew Bender's Treatise on Environmental Law, Professor Grad authored some 20 books and published numerous law review and journal articles in the areas of environmental law and public health law. Professor Grad was the reporter for the 1982 Congressionally sponsored study on Injuries and Damages from Hazardous Waste-Analysis and Improvement of Legal Remedies and directed the revision of the New York City Air Pollution Control Code, the New York City Health Code, and the New York City Housing Maintenance Code. 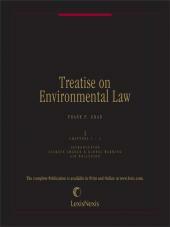 Chapter 4A - Disposal of Hazardous Waste - The "Superfund Law"